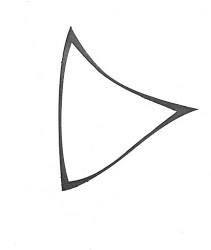 ama Literally "to face". 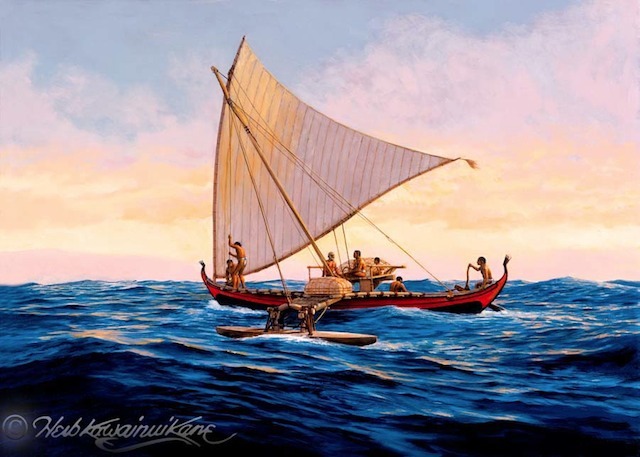 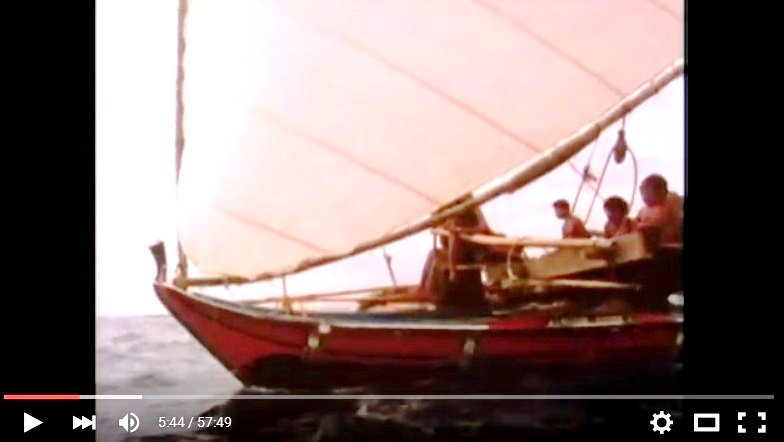 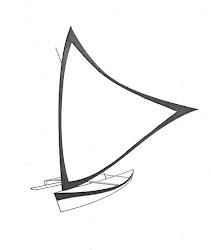 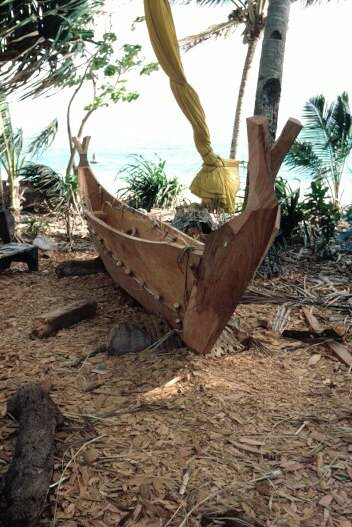 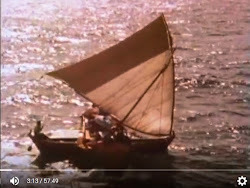 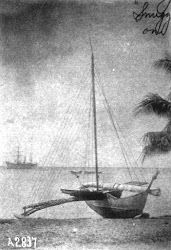 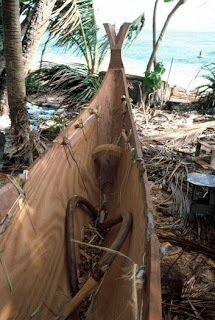 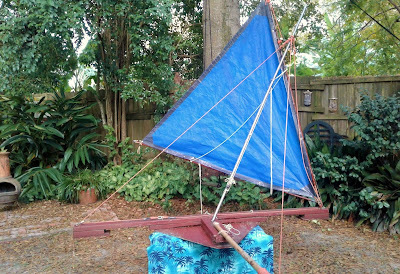 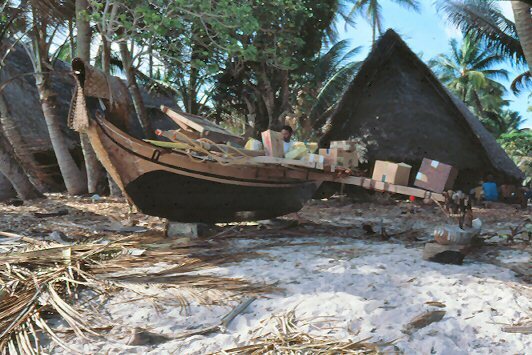 A navigational exercise in which the navigator places a toy canoe in the center of the paafu circle and asks his student to name the stars over the bow, stern, outrigger, and lee platform. 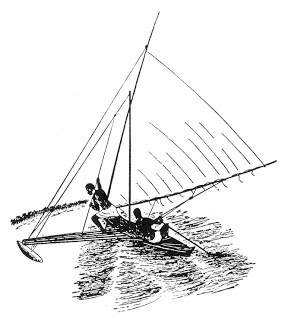 epar "To fix" or "to aim". 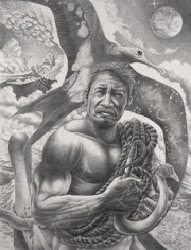 Denotes the individual birds, fishes, whales, and reefs listed in the pookof sysem. 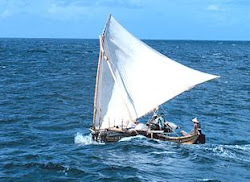 Etak A conceptual plotting system that enables the navigator to track his position at sea witout chart, sextant, compass, or other modern aids to navigation. 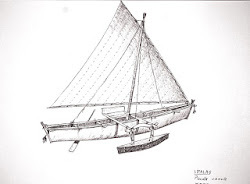 Also a unit of measurement. 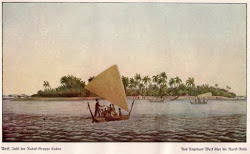 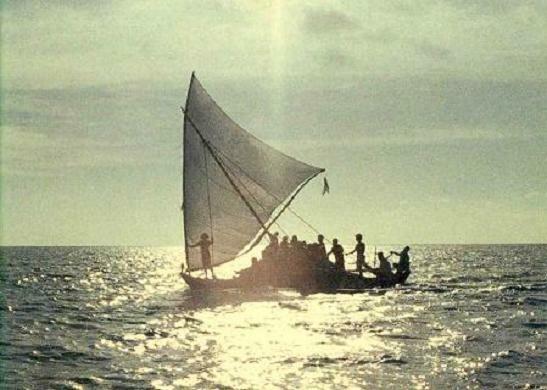 etakidigina The "etak of sighting": the first and last etak of any voyage, inside which the island is visible. 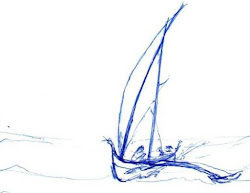 fatonomuir "Facing astern": a navigation technique by which the navigator measures the current displacing his vessel by backsighting toward his island of departure to observe the star under which his isalnd has "moved". 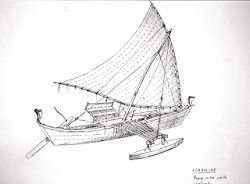 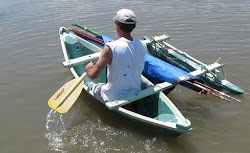 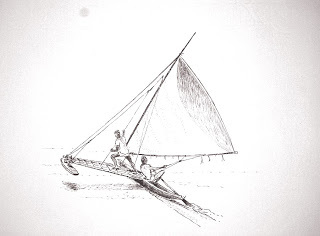 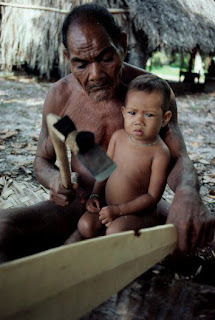 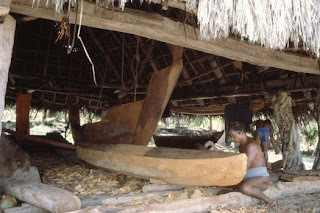 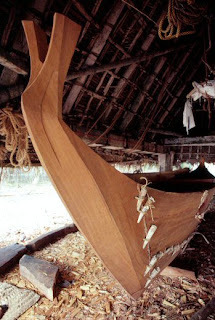 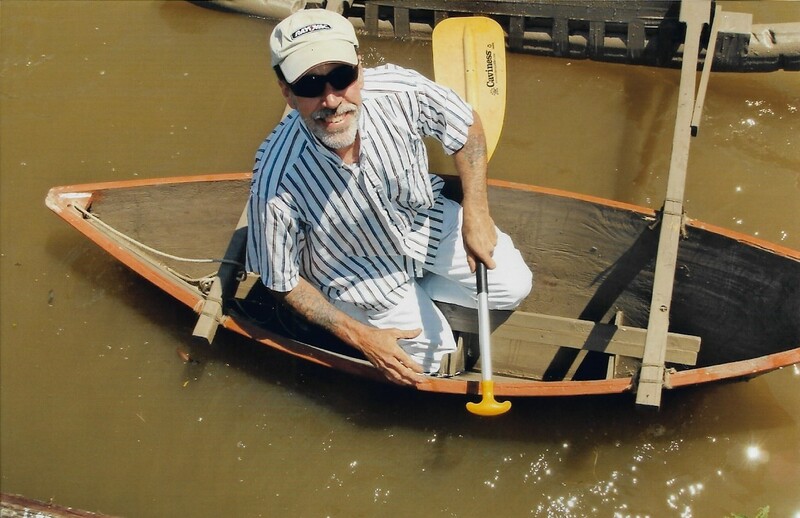 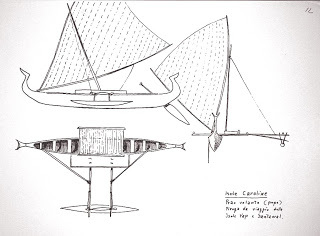 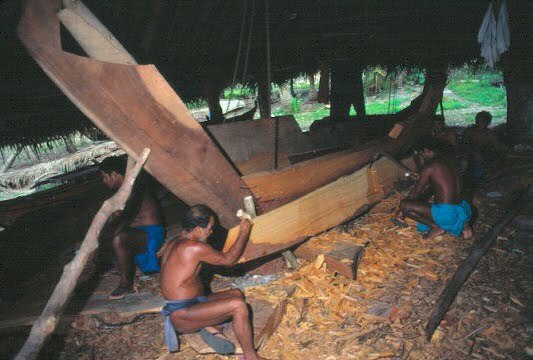 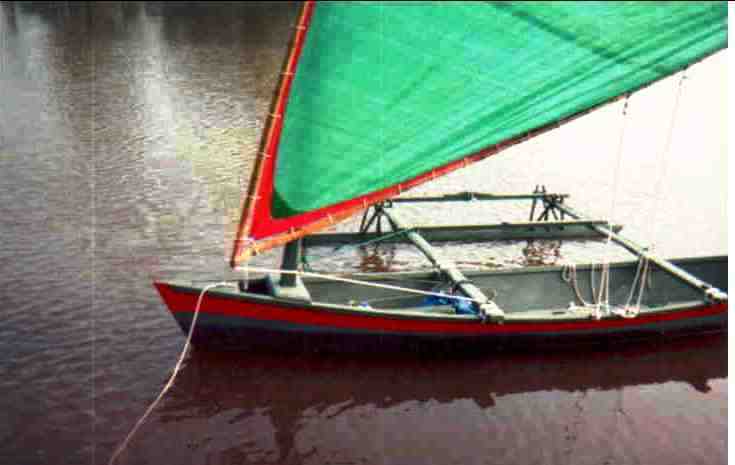 Contemporary Micronesian with 2 canoes. 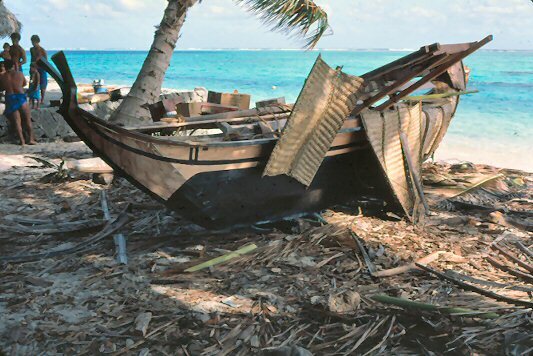 A coconut mat is protecting the mas at the bow of the large canoe.